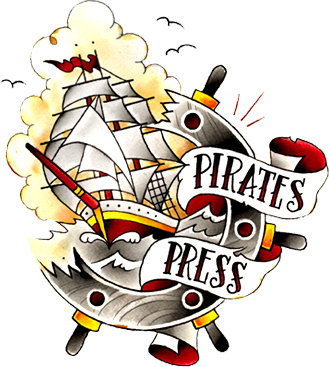 PIRATES PRESS protects independent labels, bands, artists and businesses from being swindled and handicapped by big corporate manufacturers who really don't care about them. We are musicians, artists, promoters, screen printers, music technicians, tattoo artists, and other independent entrepreneurs out to help each other succeed in a way you can truly feel good about. Our family of salespeople and customer service reps are informative and available all the time, so you get your quotes fast, your questions answered fast, and you never have trouble finding out what's going on with your job. We do not want you to join the ranks of people who have been screwed by a manufacturer, so please call us for ALL your manufacturing needs! If you can dream it up, chances are we can pull it off… Even if it's just a glimmer on the horizon.